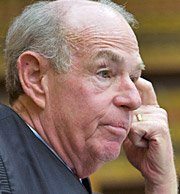 A San Diego lawyers group has selected Superior Court Judge John Einhorn, who is the subject of a boycott by the District Attorney’s Office, as its Trial Judge of the Year for 2009. For the past three months, Einhorn has been the target of a “blanket challenge” by the District Attorney’s Office. Prosecutors have made it clear that if a new case is assigned to Einhorn, they will exercise their right under state law to challenge the assignment and shift the case to another judge — and not have to give a reason. For the remainder of this article, go here. The national head of the AFL-CIO came to San Diego yesterday to push for more funding for federal jobs programs and to throw his support behind a City Hall effort to ensure that workers on government infrastructure projects be hired locally. 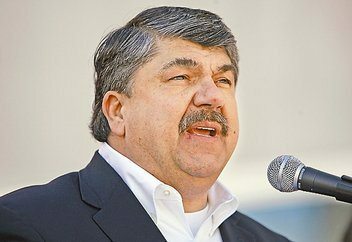 Richard Trumka, a former coal miner who was elected to head the American Federation of Labor and Congress of Industrial Organizations in September, said that even though the economy appears to be recovering from the recession, the job market still looks “pretty grim” and will require more government action to help put people back to work. The City Council declined Tuesday to endorse proposed regulations that would govern medical marijuana dispensaries in San Diego, opting instead to forward the package to a committee for more vetting. The recommendations were made by the 11-member Medical Marijuana Task Force, which was established by the City Council last September amid concern over the proliferation of unlicensed dispensaries in the city. Last month, the task force recommended the City Council adopt laws that would prohibit medical marijuana dispensaries in San Diego from being located within 1,000 feet of schools, playgrounds, libraries and areas where children frequent. The panel also called for medical marijuana dispensaries to be barred from locating within 500 feet of each other. Under the proposed regulations, medical marijuana dispensaries would also have to hire security and obtain appropriate land-use permits. For remainder of this article, go here. 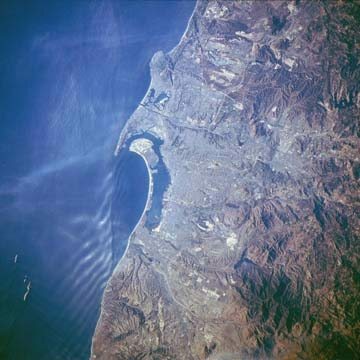 January 5, 2010 (San Diego)–San Diego’s Superior Court has dismissed a lawsuit filed by the Associated General Contractors of America (AGC) that sought to halt work performed under the project stabilization agreement (PSA) reached between San Diego Unified School District and construction unions. The court’s decision permits the school district to proceed with building projects that will provide employment for local residents. this is pretty outrageous stuff about what district atty bonnie dumanis and her dept are doing to this judge. and she’s up for re-election this year, i believe. what do you lawyers thinks about this? As an attorney, I’m aghast at what the DA is doing. On one level she and her department are violating the spirit of the Constitution – one branch of government trying to unduly influence another branch (executive branch dissing the judicial branch), plus they are violating the spirit of the law that allows parties in a criminal and civil legal matter to contest the judge once. She needs to be held accountable – is she up for re-election soon?